Why Flipper is a better alternative for you than price comparison sites like Uswitch. Here’s why we’re a better alternative for you than price comparison sites like Uswitch. 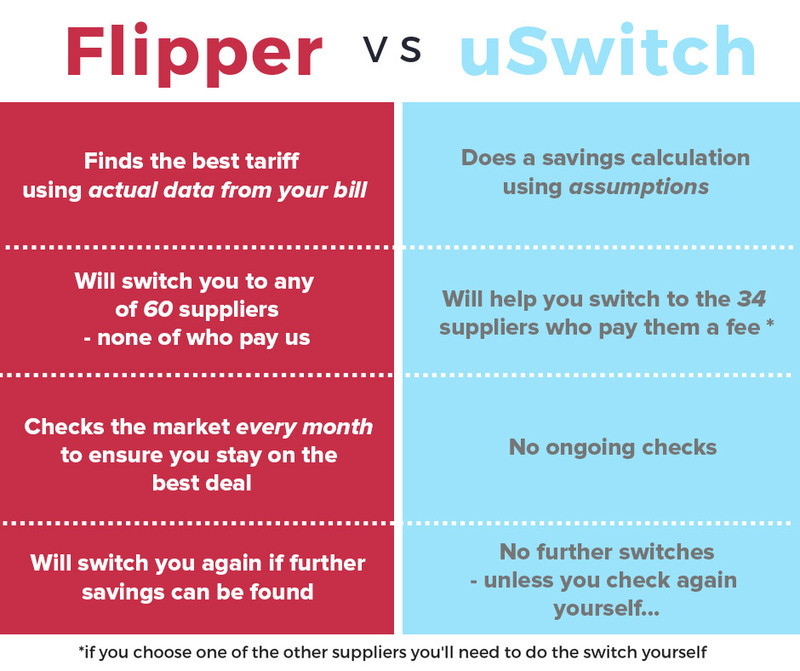 Unlike price comparison sites like Uswitch, Flipper doesn’t give you a long list of energy tariffs to wade through and compare yourself. We simply check your energy usage to find you your best deal, so energy comparison is unnecessary. In order for price comparison sites like Uswitch to present you with a list of tariffs to choose from, they ask you for information on your energy bill that people tend to misinterpret or simply get wrong. YouGov research found that 60% of people find their energy bills difficult to understand, and if you’re entering incorrect data, this will result in inaccurate quotes and missed savings. 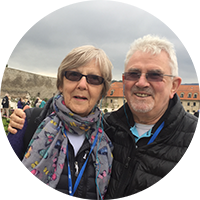 Price comparison sites like Uswitch receive commission from energy suppliers so they won’t necessarily switch you to your cheapest tariff, but to a deal that nets them commission payments. Price comparison sites like Uswitch only provide you with a list of energy tariffs to choose from. Once you decide which deal you want to go for, you then have to go through the hassle of switching suppliers yourself. At Flipper, we not only find you your best energy deal but also automatically switch suppliers for you, so you can sit back and relax while we do the hard work. Price comparison sites like Uswitch offer you a one-time deal, but don’t tell you if there’s a newer deal available that can save you more money. At Flipper, we check the market for you every month and auto switch you again if we find you a cheaper deal than your current one (at least £50 cheaper), ensuring that you’re always on the best available tariff. Price comparison sites like Uswitch don’t care beyond their initial transaction with you. Why would they when their job is done and they’ve received their commission? 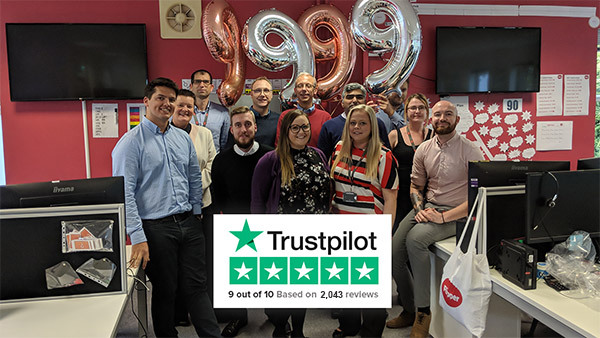 Our job doesn’t end once we switch you—our customer care team are always there to answer any of your energy-related questions and will continue to deal with your current and future suppliers on your behalf. When you use a price comparison website like Uswitch, you’ll be asked for information like your current supplier(s), tariff name, are you on dual fuel or not, payment method, do you have economy 7 meter, do you have an online account, annual energy usage, and bill start and end dates. Going through 5 pages of information. When you sign up to Flipper, all we need to know is a few personal details and we’ll sort out the rest. So, rather than using price comparison sites like Uswitch and becoming another statistic, sign up to Flipper—your personal energy shopper—for only £30/year. We’re free until we find you a deal that saves you at least £50/year, so why wait?